Compass Technology Compass CRM for Fundraisers (www.compass.net) is a versatile and multi-module system that runs entirely within Microsoft® Outlook and is integrated with MS Office so there is no having to learn a new application everything can be accomplished within the familiar Outlook interface. This system lets you track demographic and relationships. You can manage your pledges, execute marketing initiatives and it will support all major payment methods. The Compass CRM for Fundraising uses one centralized database that will support multiple organizations which makes unified data available for your entire non-profit organization. This software is very easy to use; it is fully integrated with Microsoft Outlook and Office which makes using the system simple and it makes all aspects of running a non-profit organization run smoothly and effortlessly. This system is packed with product and design features including dashboards, fundraiser specific pre-built business processes, reporting and analysis tools through Microsoft SQL Server Reporting Services. Compass CRM is a complete system that will adapt to the individual needs of any non-profit organization and is very is to manage. Compass CRM for Fundraisers is a complete donor management and fundraising solution built entirely on the Microsoft® Dynamics™ CRM3.0 platform and is delivered in Microsoft Office/Outlook work environment. This system is compatible with Microsoft Window 2000 Server with Service Pack 2 or Microsoft Windows Server 2003 with Service Pack 1. 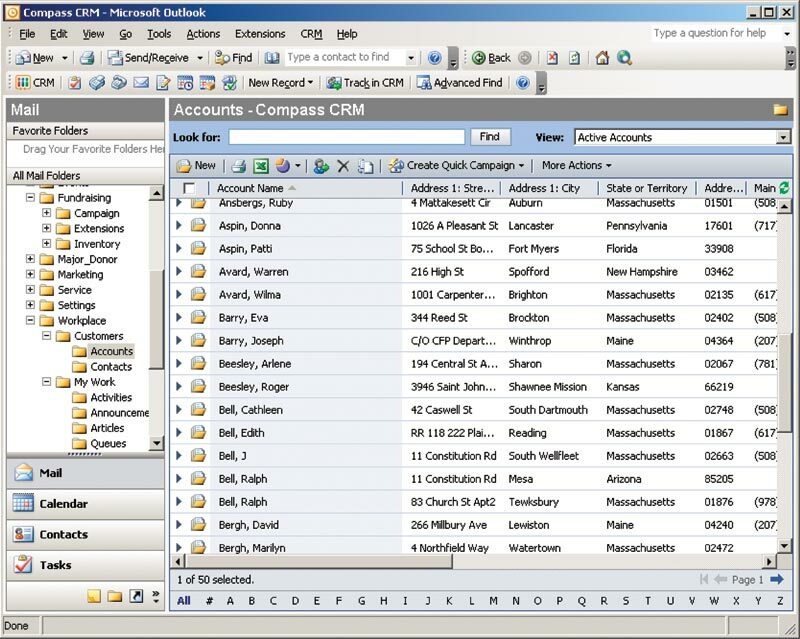 It works with Microsoft SQL Server 2000 with Service Pack 4 or MS SQL Server 2006. The Compass CRM is very easy to use and has endless multi-user capabilities. 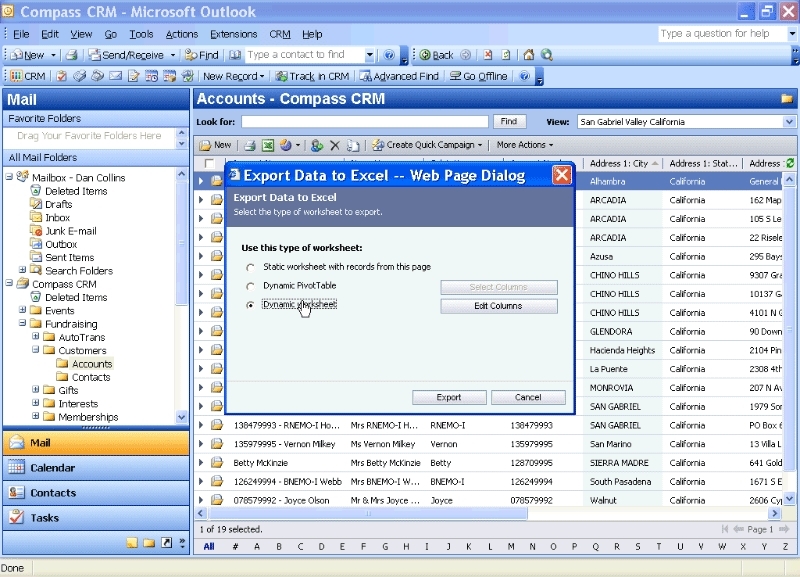 It works seamlessly with MS Outlook and Office and is set up over a server which makes installation and deployment effortless and can be accessed from anywhere. Compass CRM is fundraising software built on Microsoft technology and designed to help non-profit organizations manage donor relationships, increase fundraising results and helps your company run more efficiently. It has multi modules which include fundraising and donor management systems, analytics and reporting, personalized marketing, and integrated office communications that improve performance. Pricing varies depending on system, licensing and additional add-on modules.